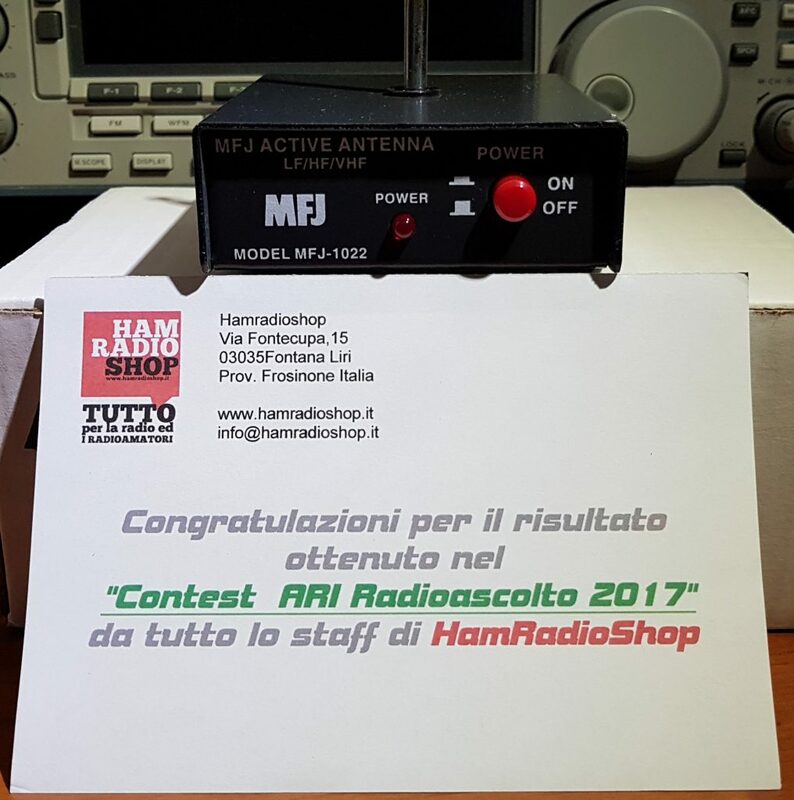 – The contest is open for all shortwave listeners. It is not obligatory to be a club member. 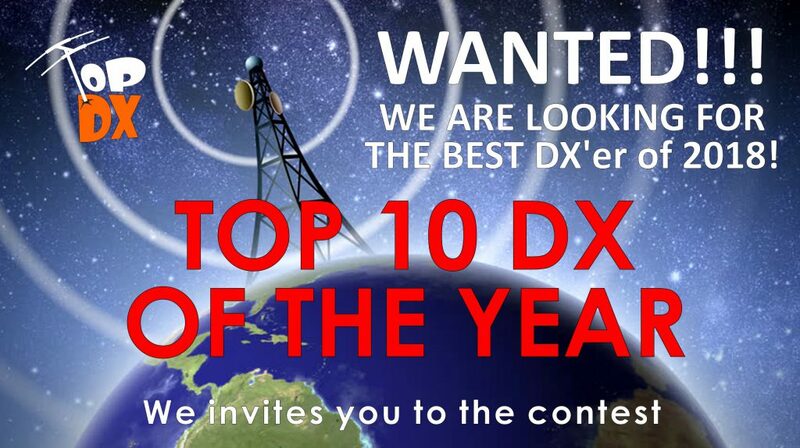 – The contest is free of charge and all costs are covered by TOP DX RADIOCLUB. Reception of 10 BROADCAST stations from 10 optional , DIFFERENT countries during the contest (according to the official DXCC list**). Award of the best DX’er who really succeeded in receiving the year’s TOP 10 DX: it means that it received the smallest power station possible from the longest distance possible. – It is not obligatory to register in advance. On the other hand, it would help the organizers if you sent an email with your name and 6-character Maidenhead QTH locator code*. If you don’t wish to do that it is enough to provide your data in the contest log. All personal data and email addresses are handled with care by TOP DX RADIOCLUB and they are never given to a third party. We also hate spammers. The data are used to inform the contestants in connection with the contest and the evaluation of the results. Reception of 10 BROADCAST stations from 10 DIFFERENT countries. 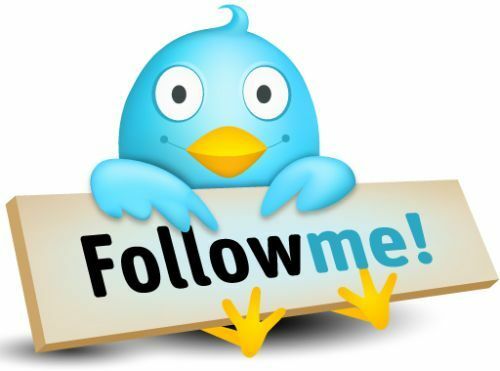 Excluding: unofficial, meteorological, DRM or other digital, military, spy, pirate, time etalon, amateur contacts and other technical receptions. It is strictly prohibited to use web SDR, internet radio and other remote controlled equipment. The receiver antenna has to be attached to the radio physically and directly. One country can appear in the log only once. The enabled frequency range: from 2300 kHz to 30000 kHz. The contest referees and organizesr cannot take part in the contest. The type of the antenna(s). Address: France, Paris, Rue Parrot 2. The logs have to be sent electronically to topdx.radioclub(at)gmail(dot)com in doc, docx, xls, xlsx, pdf, txt, or cabrillo format. We accept logs in English language and Hungarian language. All contestants get an email of confirmation after receiving the log in 24 hours. All contestants decline by sending the logs that all data in the log are true and correct, all of the receiving were done by himself/herself within the given time range from the provided place according to the QTH locator and the adherence of the rules. – Announcement of results: Before 31 January 2019. The distance between the contestant’s QTH locator and the transmitting tower’s QTH locator divided by the power of the transmitter. The distance between QTH is dimensioned in kilometers and measured in short path. The transmitter power is dimensioned in kilowatts. Only official data are considered given by WRTH (World Radio TV Handbook – www.wrth.com). If more powers belong to a certain transmitter the higher power is considered in case the official homepage of the station announces something different. Unofficial but quite accurate TX power informations can be found on www.short-wave.info and www.shortwaveschedule.com. Score: 8459,38 / 250 = 33,84 points (rounded to 2 decimals) According to the information above it can be clearly seen that more points are given if the station is far from the contestant AND the transmitter power is low. Therefor if someone can receive broadcast from a station of 10 kilowatts from the distance of 12000 km it worth 1200 points. The final points are made up by the sum of the 10 receiving. The contestant with the highest points wins the contest. The contest has no monetary prize. The winner gets an elegantly designed, unique trophy addressed to his/her name. All contestants are posted a certificate according to result in the ranking. In case of any questions about the rules, the parameters of the transmitter or anyting else in connection with the competition, send us an e-mail and we try to respond asap. This opportunity is open before and during the comeptition. The organizers wish good luck and outstanding DXs to all contestants. Arrivo inatteso del corriere per la consegna di un pacco contenente …. The Italian Group Free Wave organize for you, a radiophonic contest that will be on air on short waves QRG in Amplitude Modulation. The Game it is very simple. 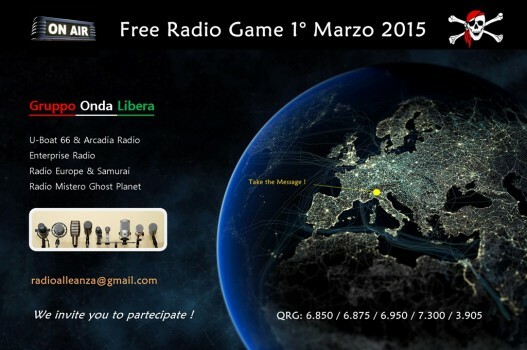 Each free station will be on air on different moments and each one will be on air on his own QRG, transmitting a single part of a complete message in Italian and English, that is ever the same. Your challenge is recreating the complete message ! All parts of the message start with a particular advising sound for all free stations. To participate to the game as SWL, you only have to recreating the complete message, but you also have to write the single part you have heard from each Italian Free Station . will get a paper QSL direct to your postal address ( if communicated). To compose the final rank we consider the time in which we get your mail. The ranks of Italian SWL and International SWL will be separated, and we will send a total of n. 10 paper Certificate. The final results will be published within 10 day from 1° march 2015. We hope in good conditions and we invite you to participate to the Game !